You know, I wish I was one of those superwomen who always have everything done on time and to a T. I want my house to be clean. I want dinner to always be yummy and on the table before my smiling family gets home. I also want to get all this done with perfect makeup, perfect hair, beautiful well-fitting clothes and maybe even some “June Clearverish” pearls (I’m not aging myself that much. I watched that show in reruns.) — and yes, all while wearing a TIARA! I deserve that much, right? Well, unfortunately even when you wear your TIARA, life happens! 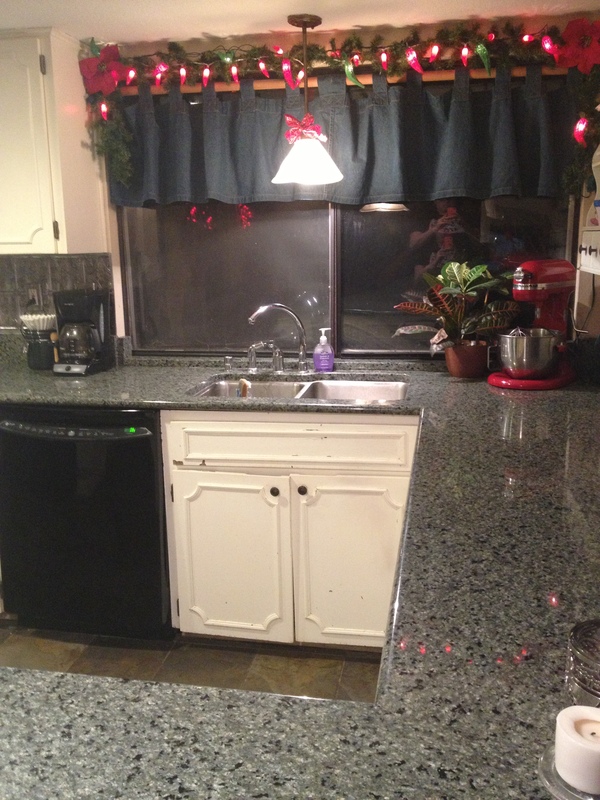 Jobs get in the way, unexpected projects pop up and you occasionally get sick. All of this happened to me last week. I had so planned to dig into a lovely cookbook I received as a gift, and share a recipe from it with you this week. My family would have loved that too … but take-out and sandwiches were pretty much on tap all last week. We can chalk this one up to the chaos I call life. So, instead I thought I’d share an appetizer recipe with you. This might come in handy with the Super Bowl just around the corner. I took this to a New Year’s Eve party and it was a hit! It’s made with bacon. That should sum it up. This recipe came courtesy of one of my favorite Facebook pages — $5-10 Dollar Meals- Cheap Eats. Cut each bacon slice into thirds. 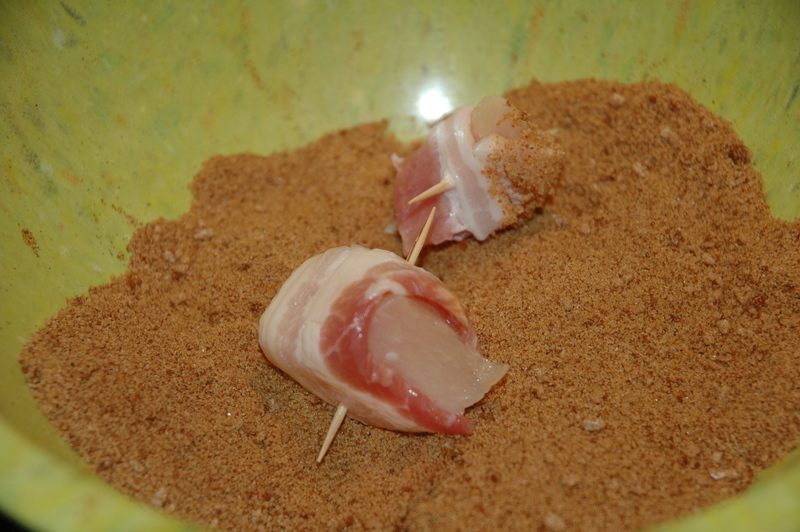 Wrap each chicken cube with bacon and secure with wooden pick inserted on the diagonal, starting where bacon seam overlaps. 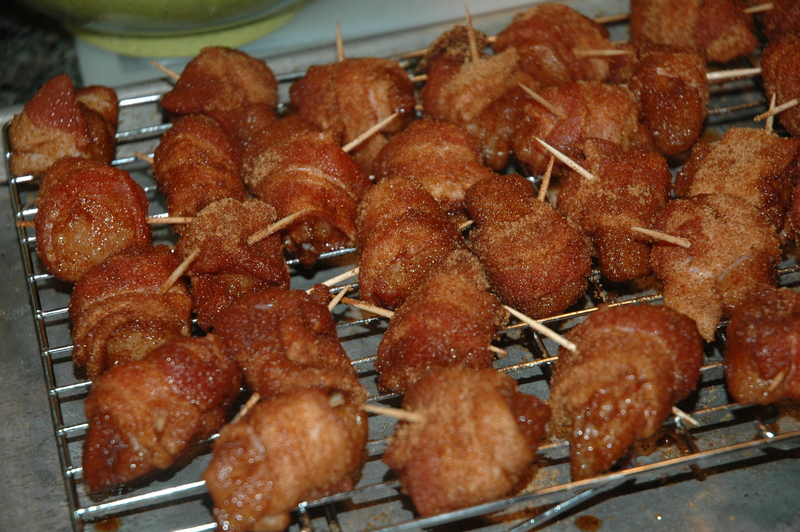 Stir together brown sugar and chili powder. Dredge wrapped chicken in mixture. Coat a rack and broiler pan with non-stick cooking spray. Place chicken on rack in broiler pan. Bake at 350 degrees F for 30 to 35 minutes, or until bacon is crisp. These were quite yummy, but I think next time I will play with the seasoning a little bit. I might add red pepper flakes to spice it up a bit or maybe marinate the chicken in Tabasco or another hot sauce prior to wrapping in the bacon. I wound up baking closer to 45 minutes as I used thicker-cut bacon. Next time, I will also make MORE. They were gone in about 5 minutes. Until next time …. I’m going to wear my tiara and explore my new cookbook. It’s finally Friday, y’all. (We won’t talk about it being Friday the 13th). A. Learn that it is impossible. Or…. B. Just breathe and relax. What is it about the holidays that I find completely overwhelming? I have the skills to do what I want. I have the vision. I try to plan ahead. I have an attic full of holiday decorations and a craft room bursting at the seams with a plethora of every craft supply you can think of. Yet, it never seems to happen. Are my dreams of a Martha Stewart meets Norman Rockwellesque holidays too much? I don’t know. I always get part of the way there, but never reach the top. As the queen of all things you’d think I would know the thrill of having sugar plums floating through every room of my home, of being the envy of elves everywhere, and of feeling the awe and admiration of all my friends as they enter my magic kingdom of all things Christmas. My daughter is home for the holidays! Both kids are under one roof for the next month. Yay! Three of the four planned Christmas trees are put together. It’s Friday and I have time tonight and tomorrow to finish the trees and maybe even get some wrapping done. Sunday is set aside for a little shopping and some holiday baking. I am very proud of my mantle decor. Some of my Christmas shopping is done. This past weekend I got to enjoy a Christmas party for work and another one with great friends. I’ve done everything so far without taking a day off from work. 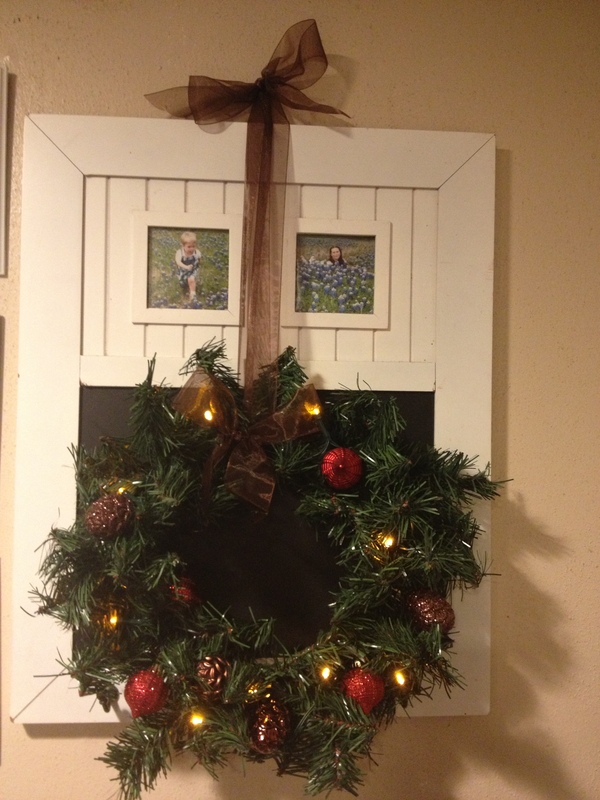 My $4 wreath made with supplies from The Dollar Tree. Wow. I guess it’s not as bad as I thought. 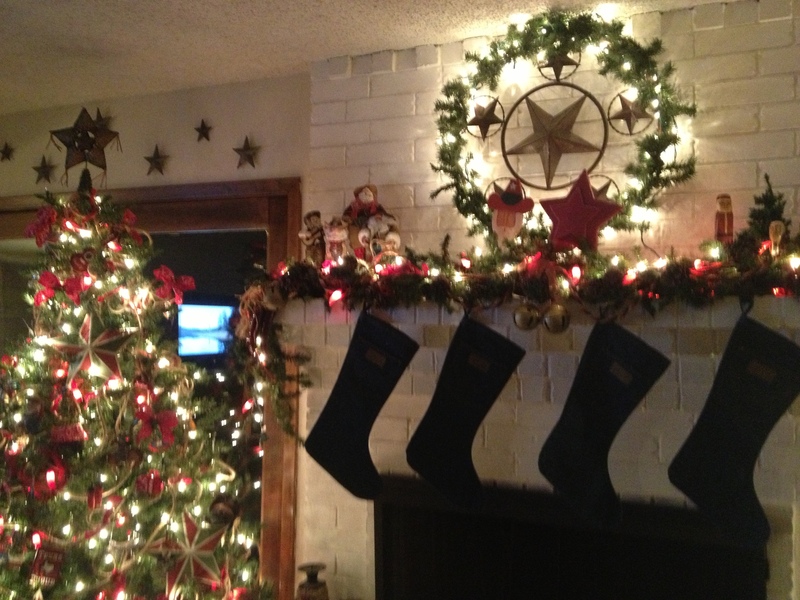 I may not be Super Woman or Mrs. Claus, but I have managed to put a little holidays in to my home. I still have a way to go, but it will get done. This week, I pledge to finish my projects, but I also plan to just breathe. I want to sit on the couch with my children, enjoy our Texas tree and maybe even one of our favorite holiday movies (Most likely Elf).